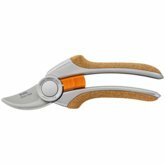 Fiskars Quantum Hedge Shear is a beautiful working tool for hedge trimming thanks to its robust aluminium cross section handles which ensure lightness and strength. 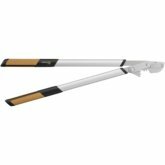 At the same time, the TruGrip™ cork with SoftGrip™ inlays delivers greater comfort during operations. 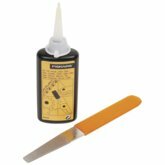 Precision ground hardened steel blades cut cleanly and precisely while the PowerGear™ mechanism makes cutting three and a half times easier than standard mechanisms. 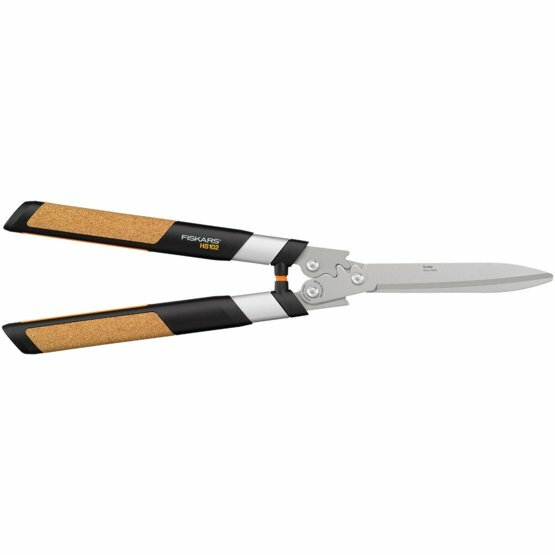 If you need a great pair of hedge shears for hedge trimming, look no further.